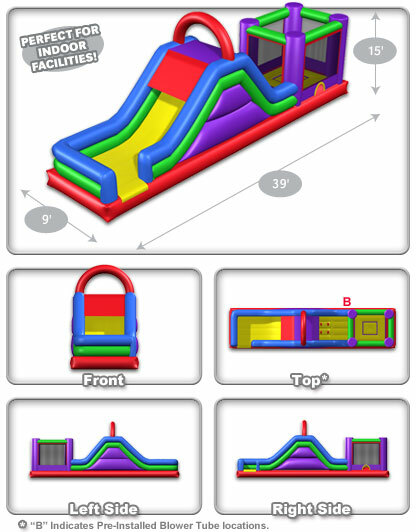 This combo offers a large jumping area and a large 9Ft double wide slide that will provide that extra wow for your back yard, school or church event. 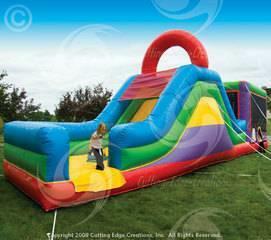 Love to bounce, climb and slide? We’ve tied all three together into a dynamic, wacky-colored three-in-one unit!